Community college students today face multiple barriers—personal, financial, and academic—to achieving their postsecondary goals. In order to help more people juggle the myriad facets of daily life that make it difficult to stay in school and complete credentials, colleges need to deliver a broad range of support services in a coordinated manner. 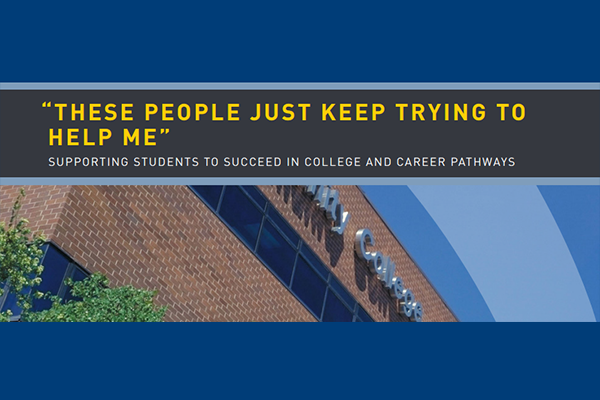 This brief by Jobs for the Future highlights strategies for developing comprehensive supports to increase college and career success for underprepared youth and adults.